Live DJ Friday and Saturday nights after 9:30 PM. Come watch the game or enjoy a classic movie on one of our 11 HD TV's. 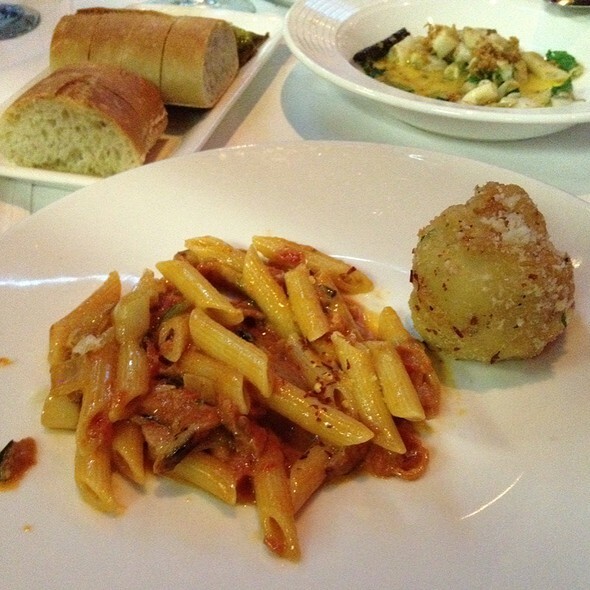 Cafe Martoranos is never to be missed! Ever since we moved away from South Florida, we’ve add it to our MUST eat at restaurant when visiting! The quality of food and perfect service is what makes this place really shine. This is the absolute best restaurant in South Florida. From the minute you walk in the energy is unbelievable. The staff is on point from the second you sit down, the service does not skip a beat, the food is to die for,the drinks are fantastic and the atmosphere is undeniably the best you will find. Did I mention the deserts from Lilly Cakes? WOW. This has been a 24 year relationship and we cannot wait for our next dinner there. Thank you Steve and Marsha for always making us feel special every time we are there and in AC as well. It was a very memorable night with family and friends. This is easily our favorite restaurant . The food is phenomenal. The music is great. Steve sent over a small plate of macaroni in a delicious truffle cream sauce for us to taste while we we waiting. Everything was fantastic. We were treated like we were family from the minute we walked in. Steve's wife Marsha greeted us. We cannot say enough nice things about her. She is not only stunningly beautiful but she is equally as nice which, to me, is even more important. She makes you feel very welcome. We had a piece of her carrot cake for dessert and it was awesome. It was served cold which is the way we like it. The whole experience was just superb. 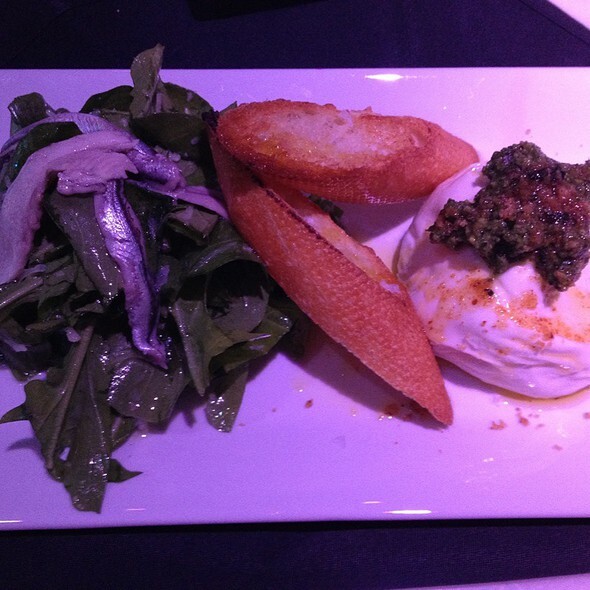 I would offer my highest recommendation to anyone who has never been to Cafe Martorano. It never disappoints. Another excellent night. Never disappoints. Been dining at Steve Martoranos place for over 20 years. You won’t be disappointed. Great wine list to compliment the amazing food. This was a special occasion and wanted it to be a wonderful memorable evening. Sorry to say it was very disappointing. The only person who made us feel special was the hostess. After getting our drinks and ordering our meals we sat back and began to enjoy the wine. Shortly after receiving our dinner, the noise level became very loud and when customers were seated next to us, our waiter basically forgot about us! I guess “regulars” are more important than new customers trying to celebrate. We waited quite some time to have our food packaged and then to receive our bill. I was surprised that there was no mention of the “birthday” when that was why we were making the reservation. Thank you Miss Hostess! Most restaurants at least acknowledge this occasion with a song, dessert or wish from the waiter. I would have thought that a restaurant that is supposed to be highly rated would do something. Very disappointed! Excellent for with good service will keep Steve afloat. If you can improve on the bar performance and the wait staff being a bit more attentive especially when you initially sit down, it could make for a terrific experience. The food was outstanding! Dinner specials were very different and the food so fresh. I will make it a point to come back when I'm down this way again. Excellent choice for dinner! This was the 3rd visit in a row where the service was so bad it became the dinner conversation. The last two visits the service was around a 5-6, not terrible but not what you expect at this price point ($28 for a cheesesteak...). This visit was a 2 and was insulting. Since we were being seated in the bleacher area (again) we opted for the bar which was empty on that side. Our reservation was for 6pm - when the restaurant opens. I'll skip some details but mainly our order was forgotten and the attitude as an oops level apology an hour later when the meatball salad was finally delivered. I assumed since we finally received our entrees 90 minutes after arrival (pastas were cold to the point of inedible and people sitting by us that arrived well after were cashing out) that something would be comped - a pre dinner drink / dessert or even a tiny gesture to show our business matters. The only adjustment to the bill was to notice our wine bottle price was wrong and raised it $25 (not even the $2.00 for extra olives was removed). When paying $300-400+ for 2 for dinner I don't care what your motto is or how many big shots you have for customers. This visit was insulting. There was no point in asking for a manager. I comped our pre dinner drinks from the tip - something I've never done at any bar or restaurant in my life (I always tip 30%, usually more there). Our bartender showed her hand by leaving us unattended and feeling entirely unimportant. Maybe we mattered when she saw her tip. Unfortunately in the words of Sonny, "Nobody cares" seems to have filtered from their tv screens into service reality. I'll spend my money where it is appreciated. Ciao Martorano's. Our waiter kicked us out of our table before we were able to finish the rest of our dessert and champagne. Courtesy is, they should offer us a drink at a bar instead of just telling us to go to bar. Would have given 5 stars for overall experience if it weren’t for that. The food here is always wonderful. I had a 7:15 reservation and was taken on time. I eat pasta once a year...………I live a Paleo lifestyle, so that's not a metaphor LOL. 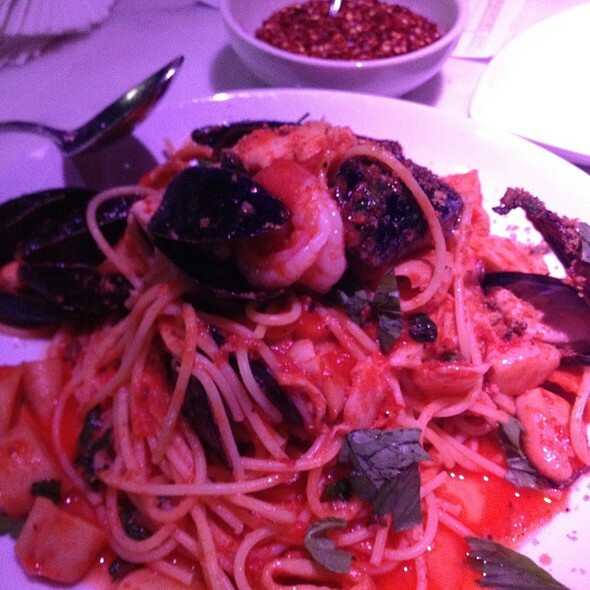 There is only one place I would break Paleo and that is Martorano's. Everything is above and beyond, but the Carbonara is ahhhhhhhhhhhmazing. From the greeting at the front door, Mar and her staff are fantastic, to the wait staff, to the food...…………..it is a fantastic experience, and I can not recommend it enough. The food is good. Nothing special but good Italian food. They rush you through your evening. We ordered drinks, appetizers, main dishes, and a dessert and more drinks. We were told that we had to get up and give up the table after 90 minutes when we had just ordered a round of drinks. For 4 of us, the bill was over $500. For this kind of money I do not want to feel rushed out of a table. The waiter was cocky and uninterested. The food was disappointing and lacked flavor. I explained my negative feelings and he said he will box it for my wife. We were really looking forward to a meal worthy of their reputation. We eat out a lot and give new exciting venues an open minded and positive chance. Overall the strip shopping center was dirty and unkempt, many closed businesses. This was a Friday night, early not very busy, plenty of metered parking. I chose this restaurant for my birthday dinner, I chose poorly. Excellent food. Amazing atmosphere. You cannot go wrong. It’s not your ordinary dinner place. This is a sensory overload. “Oh what a night”. If you haven’t been you are missing out on the best upscale Italian restaurant in the state! Not impressed at all! So many better restaurants in Ft. Lauderdale! As always, food was awesome. Coming from Miami Beach, and having an early reservation, we got crushed in traffic (accident in the express lane). Was in constant touch w restaurant, and arrived 25 min late. Despite the restaurant being half empty, they refused to sit us and made us eat at the bar. The restaurant remained 1/3 empty throughout the 2+ hours we ate at the bar. Wasn’t the end of the world, but the hostess (Veronica?) copped an attitude like her last name was Martorano. I sort of understand, if it was a weekend and the place was humming, but to have it remain 1/3 empty and tell us it was booked and seating us would throw off the schedule was a little bit of a slap in the face... esp when another host (heavy set gent) advised us at the end of dinner, “Next time take the express lane”. Regardless, Steve is the man and his food is solid. I always love going to Martoranos the food is amazing! My favorite. My family and I have being going to Cafe Martorano for 28 years. We have always enjoyed the excellent quality and service. 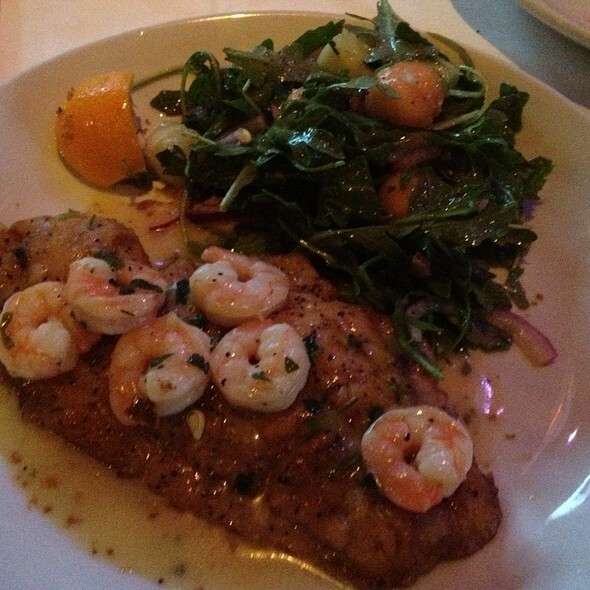 The restaurant has expanded over the years and is one of the finest restaurants in Fort Lauderdale. Steve is brilliant as Chef at reinventing himself. Looking forward to our next visit, very soon. Too much noice. To much time to wait for our reservation. Made reservation through open table for 9 pm. Arrived at 8:55. Checked in and was told table would be ready shortly (understood, no problem). 20 minutes pass still not seated. Asked hostess what’s up, was told a couple more minutes. 10 minutes later anther person comes up to us and said she was told to tell us that when we reserve through open table that there is always going to be a 20-30 wait past our reservation time. My thoughts are if that’s the case the restaurant should let you know this in on of there multiple phone calls to confirm your reservation. Also if you do not respond to their phone calls they will cancel your reservation. Was on vacation and fortunately or unfortunately I was able to answer on their “last “ phone call before they cancel. Finally after. 40 minute wait I was told they were getting our table ready only to be told a few minutes later that the people sitting at the table returned to their seats and we had no table. Needless to say we left and will not return. This was our 4th time here...and it’s incredible each and every time. 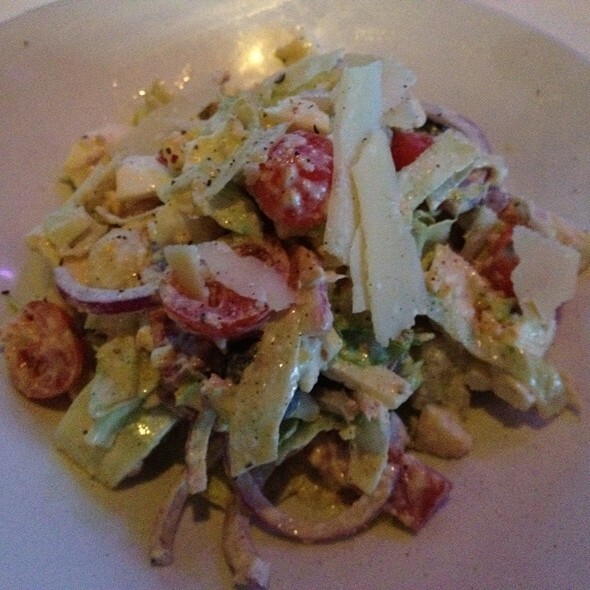 The service is impeccable and the food is truly the best Italian we’ve ever had. We always do a meatball, eggplant stack, cheesesteak, pappardelle with sausage, pork chop and add one of the nightly specials plus one of Marsha’s cheesecakes and a carrot cake. We split everything family style so that we can enjoy ALL of the delicious dishes. Last night the sea bass special was off the charts. I highly recommend dining this way here so that you can try everything! Steve and his team put such an immense effort into a total dining experience. The smaller restaurant allows for the quality to be perfect. Each and every bite of food is bliss and is a reflection of Steve’s pride in his work. He cares so much about the product he serves and is in the kitchen nightly...he’s truly grateful to be there doing what he loves and it shows. We are fans for life! Husband’s birthday. Delicious food. We are repeat patrons who also loved (and miss) the Hard Rock Martoranos. We notice that sadly, the portions,like meatball, have gotten smaller, but prices remain high. Very good food, but quite pricey for amount of food. Excellent service from Romeo and Jose. It’s my favorite place to eat in Fort Lauderdale. I live in Charleston, and I come down to Fort Lauderdale just to eat at Cafe Martorano. We had a wonderful experience. From our welcome at the hostess stand to our servers and assistants. The service was absolutely top notch. Not to even mention the food. Steve sent over a gnocchi with truffle butter. To. Die. For. We loved the meatball salad (a must!) 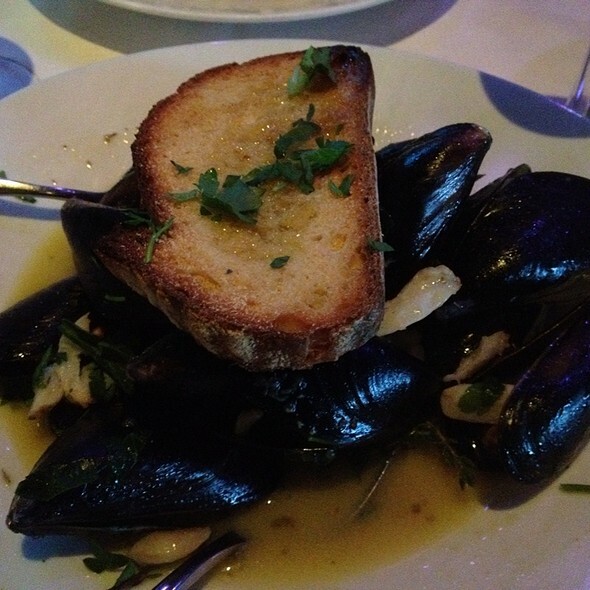 The mussels, the tagliatelle, the Veal Sinatra and the Veal Parm. Plus Tiramisu and Chocolate cake with espresso, cappuccino and an espresso martini for dessert. It's an experience for your palate and your soul. Never disappoints! The Pork Chop and Eggplant are world class The cheese steak is as good as anything in Philly and the meatball is almost as good as my moms! 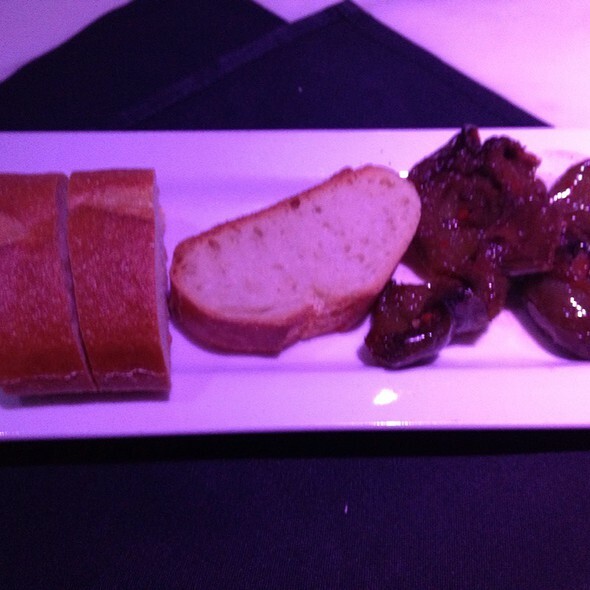 Outstanding service, food, and ambiance as I celebrated my birthday once again at Martoranos. Had a party of seven and everyone enjoyed their meal. I always try and get here when I’m in the area, food is always outstanding. People complain about the prices but the food is always so good it outweighs the $. If you’ve never been it’s a must try. 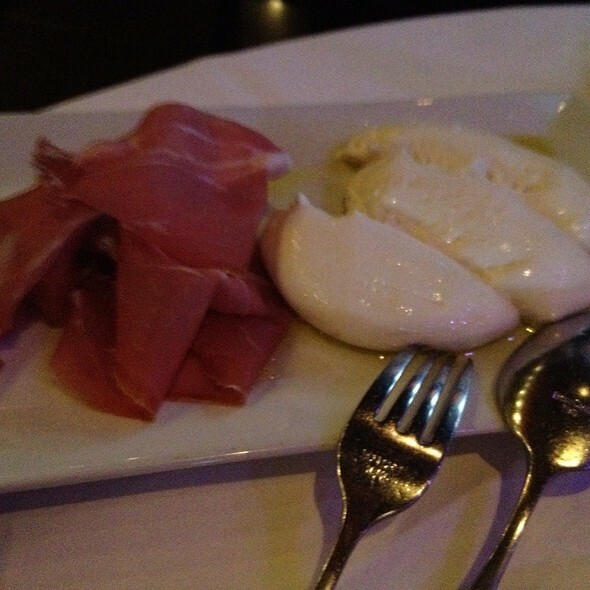 The fresh mozzarella is phenomenal! Consistently fabulous food great service and great vibe .